Perumbakkam brings in the best of location advantages, better connectivity, and proximity to the commercial centers of the city. The locality is known to offer homes in affordable price range. 15 km away from the Chennai International Airport and also close to the railway station of Velachery. The infrastructural improvements and industrial developments in Chennai have brought considerable changes in the property landscape. The city has witnessed higher demands for properties across all segments. Radiance Realty is the premier name of the Chennai realty segment and is based in Nandanam. The company specializes in multistorey apartments, premium apartments, townhouses/villas as well as plotted lands. Where is Radiance Mercury located? Perumbakkam, a prime residential locality for house seekers in Chennai South.  What are sizes of apartments in Radiance Mercury? The apartment sizes in the project range from 500.0 sqft to 1475.0 sqft. What is the area of 1 bhk in Radiance Mercury? 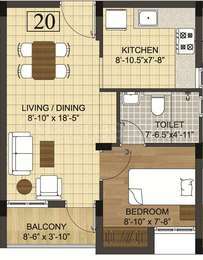 1 BHK units in the project are available in a size of 500.0 sqft to 727.0 sqft. 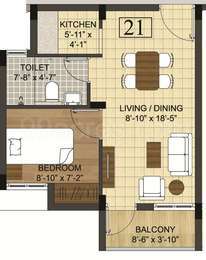 How much is area of 2bhk in Radiance Mercury? 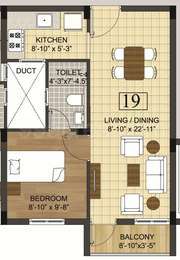 Two-room units (2BHK) in the project are available in an area of 610.0 sqft to 1067.0 sqft. How much is the total size of Radiance Mercury?The project is spread over an area of 6.2 Acres. their potential consumers, their requirements and aspirations. What are the highlights of Perumbakkam area? How is the frequency of buses here? Would be a right locality to opt for residential purpose? Good place.Excellent connectivity to all parts of chennai available. HI Jitnedra, Perumbakkam is a developing suburb of Chennai South. Once a small village, the area has transformed into a promising residential destination over the years due to rapid advancement in social infrastructure. Reputed schools and colleges have been a major growth catalyst. There is no dearth in healthcare in Perumbakkam. There is a good frequency hopsitals and clincs in this area. One of the highlights of Perumbakkam is the presence of strong public transport network. Chennai MTC buses connects Perumbakkam to IT destinations like Valcherry and other nearby areas. Private buses can be found in plenty here. Another popular mode of transports for localites is auto-rickshaws. Valchery railway station is just 9 km and is quite popular for covering long distances. Further, Chennai International Airport is just 15 km away. I was planning to invest in Radiance Mercury which is located in Perumbakkam. However, as per the information on online property portals, capital rates have dipped here over the last one year. Should I park my money here? If not, please mention some other areas which are in demand from investment point of view. Every where same problem.Try to invest in nearby areas of Eightlane chennai Salem new highway or upcoming chennai Bangalore industrial corridor where you can expect good returns. 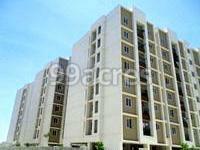 Hi Nirav, since the projects launch, capital rates have witnessed depreciation of 18%. Also for the last quarter, no improvement has been witnessed and capital rates have fallen by 2.35%. So, I would not recommend you to invest here. A major reason for this downfall could be the fully developed status of Perumbakkam. The area has a well-established civic infrastructure and there is no major infrastructural activity currently going on here. If you are looking to earn the best possible returns from your investment, go for Adyar. The area has topped the capital charts with a 4% price appreciation in average capital rats in Q1 2018 owing to its proximity to OMR [Old Mahabalipuram Road] and Valchery [also known as IT Hub]. Just hold on your investment for at least 5-6 years to garner best returns.